KFH Group leads the industry in optimizing bus stops for accessibility and operational efficiency. 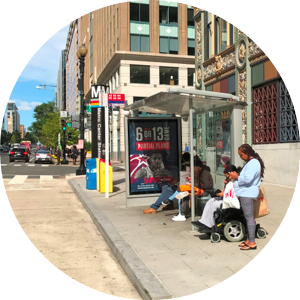 KFH Group has inventoried and assessed over 25,000 bus stop facilities in Arkansas, Idaho, Maryland, New Mexico, Texas, Virginia and Washington, D.C. Through these efforts we have assisted in the development and maintenance of asset management inventories and provided assessments focused on compliance with accessibility standards and guidelines under the Americans with Disabilities Act (ADA) and pedestrian safety.